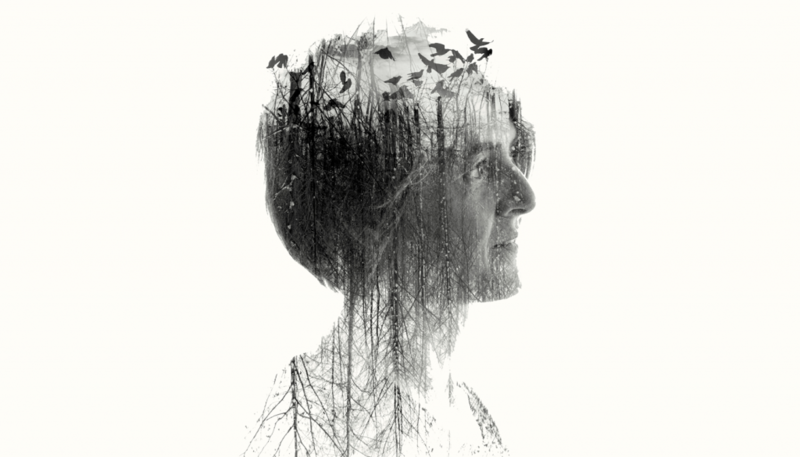 The mercurial elfin polymath Karine Polwart’s Wind Resistance is a tour de force at the Lyceum Theatre. The one-woman show manages to express and articulate something about childbirth, death, grief, socialism, bird-sound, climate change and Aberdeen FC. This is poetry, song, story-telling and memoir. In her first stage production Polwart has not just created a wonderful new play, she’s created a new genre. Wind Resistance is a glorious multi-textured mix weaving song and story-telling, but essentially it is a homage to place and belonging. Birds flit in and out of the play as we meet and hear pink-footed geese, skylarks, grouse and barn owls. An album accompanies the production, ‘A Pocket Of Wind Resistance’ is the follow-up to her 2012 Scottish Album of The Year-nominated ‘Traces’, one of a series of collaborative projects from Polwart which combine elements of song with politics, ecology and science but with wit and heart and grace. She is an artist drawing on the Scots generalist tradition. After her 2005 debut ‘Faultlines’, Polwart collaborated on the‘The Darwin Song Project’ in 2009 and last year’s ‘Songs Of Separation’ with Eliza Carthy, alongside ‘Sea Change’ in 2013, written as a response to climate change, and climate change is a background threatening theme in this work too. Karine has also worked with RM Hubbert, co-written with members of Portishead, and co-directed James Robertson’s ‘Pilgrimer’ production. As she points out this is another collaboration working closely with sound designer Pippa Murphy who brings incredibly clear natural sound to the theatre. The quality of production brings the sharpness of Fala Moor to the theatre. In fact the meta theme underlying all of the diversity of stories she is telling is not just about the wonder of collaboration but the need for collectivism. This is a story about loss about love and death, about biodiversity and extinction. But if we are to escape and survive our predicament warns Polwart the only way out will be to re-learn collectivism: Socialism or Barbarism. A crow is only a crow when it is on it’s own. As soon as it joins other crows it becomes a Rook. Polwart’s message is we have been crows too long. This unique elegy – a tale of birdlore, sanctuary, maternity, goose skeins, and Scottish football legend deserves a longer run than its getting. Catch it while you can. You will be enchanted. Order your copy of the new album here. Heartbreaking and exhilarating. A brilliant evocation of where we are now, the more powerful for the understated compassion which runs through it. Karine has created and shared something very special with us, I have seen this twice now, its got everything I love in it, she is a clever lassie and she sees the world and describes it beautifully. No she didn’t say that I did. A rook is a type of crow. On its own its called a crow, en mass they’re rooks. Its just about being singular or collective.